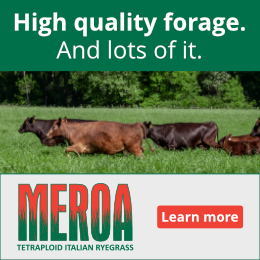 After you have examined the business conditions that surround a potential pasture lease, it’s time to evaluate the grazing characteristics. You must consider both the present condition and the improvement potential of a property you’re considering buying, leasing or managing. If you’re entering the grazing business for the first time, ask a veteran farming friend or mentor to tour the land with you. Harness his or her experience to help you pick the best property and broaden your knowledge. Your goals in evaluating a property are first to identify its strengths and weaknesses, then to determine how well those traits align with your plans. As you tour a prospective pasture, you’ll discover that it excels in some ways and falls short in others. This in itself does not make the land a good or bad choice. The relative importance of each characteristic to you is what makes or breaks the deal. For example, you may be willing to build a fence on a property that has none, but you aren’t willing to drive more than fifteen minutes from your home. Using Google Maps you can find the pastures you’re considering and zoom in to take a closer look before you even walk the place with the land owner. 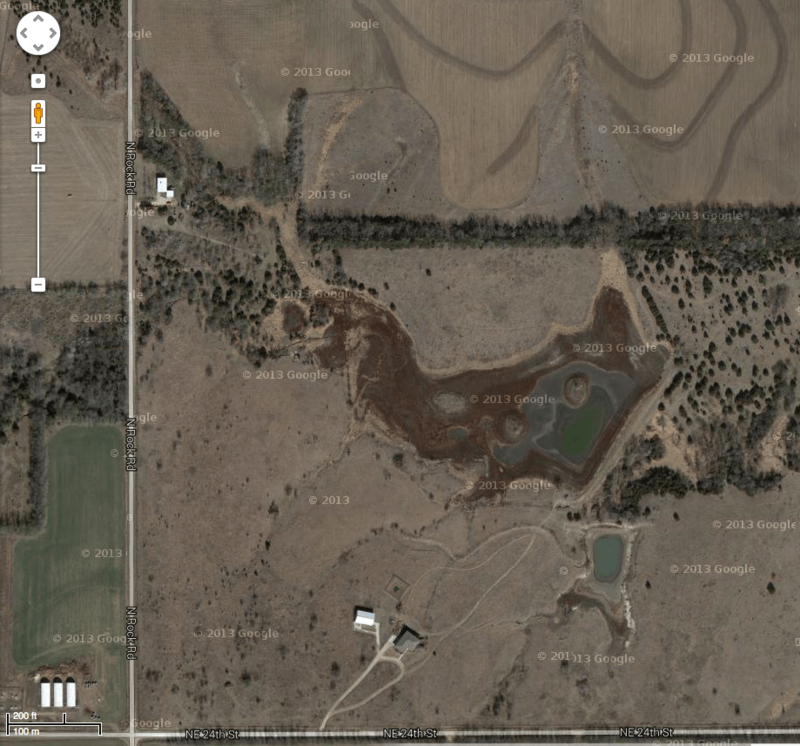 First, get an aerial map of the property from your realtor or the landowner. If he or she is unable to provide one, you can locate the tract on Google Maps or the NRCS’s Web Soil Survey. Both websites are easy to access and use. Print out a full-page view on which you can make notes. You may also want to bring a pen and notepad. 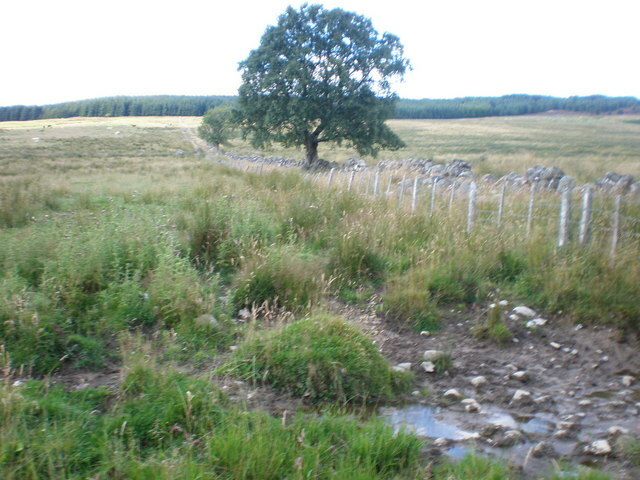 The following land features are listed in a general order of importance. You can reorder them based on how much startup spending and work you’re willing to do. For each category, make sure to think equally about improvement potential and existing conditions. This article briefly presents each category. In my upcoming series on pastureland evaluation, I will go into detail about each of the following considerations. Water availability should be your first concern when you’re touring a property with the realtor or landowner. There are two primary systems for watering grazing livestock: gravity-fed and pressurized. Gravity-fed float tanks draw water from ponds, and are the most cost-effective in the long run. In warm weather, animals can drink directly from ponds. However, building ponds can be expensive when there are none, and it may take a year or two for them to fill completely. Pressurized float tanks draw water from municipal waterlines. You’ll always have a water bill, but the water is guaranteed clean and you’ll never run out. Take note of any ponds, creeks and existing water infrastructure on the property. Find out if there is a waterline available from which to feed pressurized tanks, should you ever want to install them. Ask about the soil types present, especially if you see any dry ponds. High percentages of clay are ideal for pond building; gravel and sandy soils will not hold water. 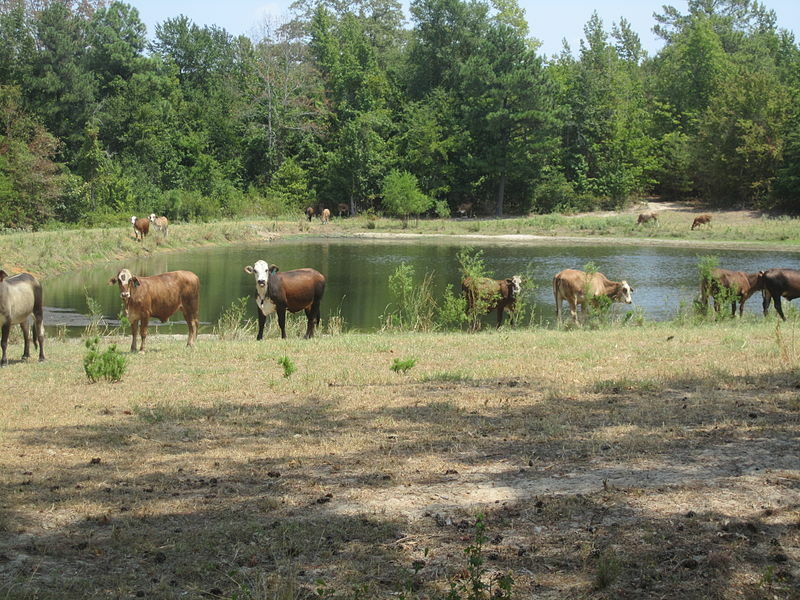 Think about how many ponds and/or tanks you’ll need to provide water to all parts of the pasture. Are there enough existing water sources to start grazing at least part of the property, or will you need to install a water system right away? Are the current sources freeze-proof in winter? Do creeks and ponds go dry in the summer? If one source fails, what will your backup plan be? 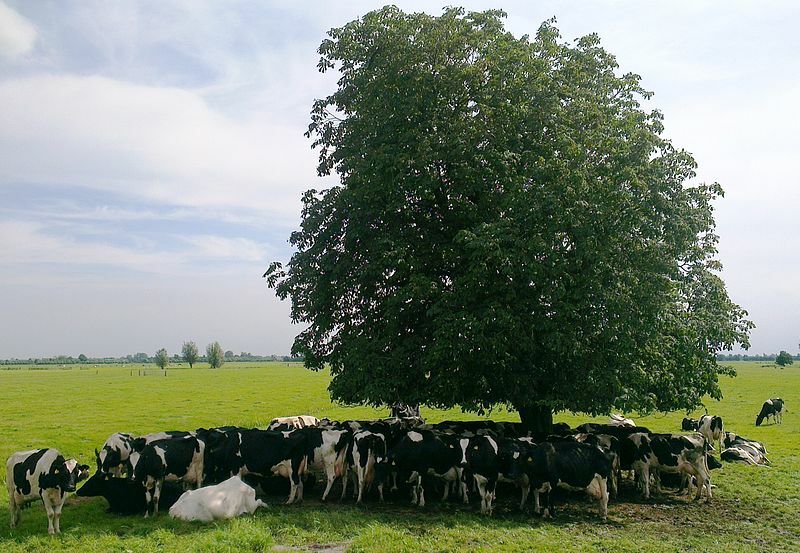 Shade and shelter are necessary for even the hardiest livestock, since most climates get very harsh in either summer or winter. 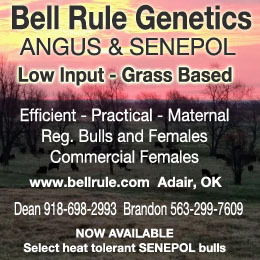 You don’t need man-made shelter if you’re selecting animals with the right genetics and managing them in-sync with nature. However, there should be some large trees or timber inside the fence for sun, rain and wind protection. Look for dips and valleys in the pasture where livestock can bed down to escape the wind. Your animals will gain and perform better if they are able to escape the elements. How will you set up your paddocks to include these shelter features? Ask your landowner how many acres are open or mildly brushy grass, how many are thick brush, and how many are timber. Carrying capacity calculations will come later, but are there enough acres of available grass to support the number of head you want to start with? How many head do you see yourself running by the end of the lease period? Are there enough improvable acres to support that size herd? How much brush and timber clearing are you willing to do now, and over the length of the lease? Electricity access is crucial to any rotational grazing enterprise. You will need a live power outlet to plug your fence charger into. 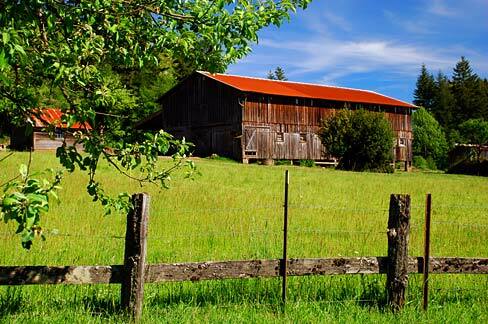 If there is no house or barn on the premises, you can have a meter installed on the nearest highline pole. The new meter can be set up in your name, freeing your landowner from responsibility. As long as you choose a charger with an appropriate output rating, one power outlet is all you need. The value you place on existing fence will depend on the resources you have available to fix or install some. Hi-tensile electric fence is most recommended for any type of operation. Animals will quickly lose their respect for non-electrified fences if you are grazing at high densities. Barbed wire will keep your cattle in at low densities, but it is more expensive and more difficult to install. If you plan to use temporary interior paddocks, they must be attached to an electrified perimeter. If there is an existing non-electric perimeter in good condition, you can attach plastic insulators to existing posts and run a single electric strand. It’s all you need to run power to temporary and/or permanent interior divisions. You can build a few hi-tensile interior divisions from which to power temporary paddocks if you don’t want to modify the perimeter. What is the minimum amount of fencing improvement necessary before you can start grazing? Many otherwise-ideal properties have a badly damaged perimeter fence, or none at all. There may be old interior fences that could get in the way of your planned grazing rotation. Taking out the old fence and building your own may be the best (or only) option. Think about how long you envision yourself managing the property, and how much money and effort you’re willing to invest in fencing. Building your own complete fence may be easier in the long run than repairing and adapting an old one. It’s a very lucrative investment to make in an otherwise suitable property. If your prospective pasture meets your needs in the above five categories, you have the basics. Next week I will conclude my overview of pasture evaluation with man-made infrastructure, forage quality and soil testing. Should I Buy Those Calves? I graduated from West Virginia University in 2012 with a degree in livestock management, and a minor in agribusiness. While at WVU, I won a statewide entrepreneurship competition with a patentable device I designed for video-assisted cattle artificial insemination. 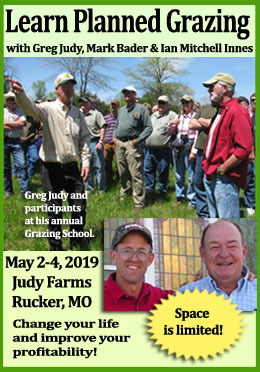 I then spent six months interning for grazing expert Greg Judy in Missouri. Now I run Rhinestone Cattle Consulting, helping new and experienced farmers build profitable mob grazing beef operations. I offer artificial insemination, electric fence building and graphic design services too. I'll travel anywhere in the 48 states for on-farm consulting and speaking at conferences.